At Team Orthodontics, we are deeply committed to enhancing our patient’s lives in a positive and significant way. Honesty, integrity, and a genuine concern for our patients are core values for our practice. We are passionate about the quality of work we provide. Our workplace and culture attract good people. We work to make sure that we are not just growing professionally, but also personally. Our deep relationships with our co-workers, patients, and referring offices are an integral part of our ongoing success. To provide you with an amazing experience every time you visit Team Orthodontics! 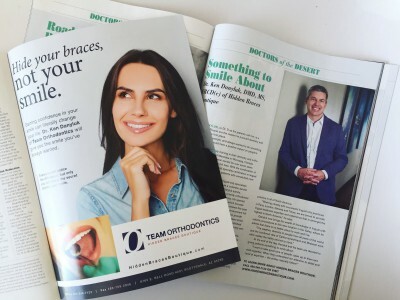 At Team Orthodontics, we offer advanced technologies to improve your treatment, acceptance of a wide array of insurance options, and a generous referral program. It’s no wonder that so many people are choosing Team Orthodontics to give them a better, healthier smile. Dr. Ken Danyluk (or Dr. D as he is affectionately known) has been a Certified Specialist in orthodontics for over 20 years. Before becoming an orthodontist, Dr. D practiced as a general dentist for over 7 years. This vast amount of experience has proven to be a key advantage for his patients as he coordinates his ongoing orthodontic treatments with your general dentistry needs. This allows Team Orthodontics to achieve the very best possible results for your smile. At Team Orthodontics we have one simple goal for each and every patient: to have an extraordinary orthodontic experience. In addition to being a Certified Orthodontic Specialist, Dr. D is also a Fellow of the Royal College of Dentists. He is one of the few orthodontic specialists in North America that holds this qualification. When Dr. D isn’t creating happy and healthy smiles, he likes to spend time with his wife, Jacqui. He also enjoys golf, playing hockey like a youngster, playing guitar, or taking in the company of his great friends. Since 2002, Dr. D has given back over $1 million dollars to the community by providing significant funding to build the Desert Foothills YMCA Teen center, courtesy treatment to less fortunate families, school sponsorships, sports sponsorships, individual sponsorships, and more. Dr. Ken Danyluk, or Dr. D as his patients call him, is a people person. People are the reason he pursued dentistry and orthodontics in the first place. “I love helping people, and always wanted to do something with my hands that would have a positive impact on people’s lives,” he explains. 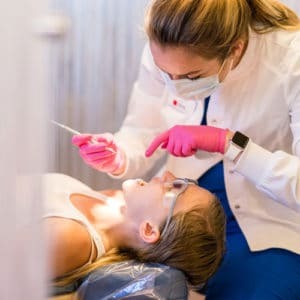 This boutique specializing in “hidden braces,” which has been serving patients since opening its doors in March in Scottsdale, is the newest addition to Dr. Ken Danyluk’s Team Orthodontics practice. 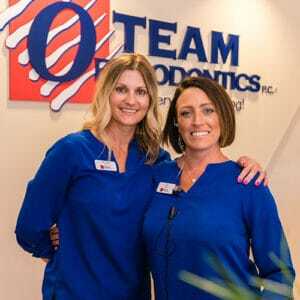 The staff at Team Orthodontics has over 200 combined years of orthodontic experience in a helpful, caring, and state-of-the-art environment. Our staff’s ongoing commitment to the care of our patients is how we’re able to ensure the very best treatment for every smile we see.